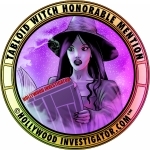 [HollywoodInvestigator.com] Here are the winners of the 2009 Tabloid Witch Awards! -- the Hollywood Investigator's No Entry Fee horror film contest that accepts entries from around the world -- shorts and features, dramatic and comedic horror, animated and avant-garde -- from students, indies, and Hollywood professionals. This year's winners come from the United States, Canada, Ireland, England, Spain, and Argentina. This announcement of Award winners will soon be followed by an announcement of Official Selections for screenings. In both 2007 and 2008, special screenings were offered to films that hadn't entered. For example, the Tabloid Witch is a co-sponsor of the Viscera Award, and screens at least one of their films.Official Selections should be announced in another week or so, and will be screened in late November at the Loscon 36 Science Fiction Convention. All winning films, in any category, are eligible for future "Best of the Tabloid Witch" Special Screenings, as occurred in 2008 and 2009. With all the zombies and slashers about, the Tabloid Witch is always pleased to see ghostly or sci-fi horror. This year, the Best Horror Feature prize goes to Within, a spooky tale that's a cross between The Bad Seed and The Sixth Sense. Rachel (Mia Ford), a little girl, is befriended by Michelle (Sammi Hanratty), a "bad seed" who was turned evil by the "dead people" around her. Naturally, only Rachel sees these dead people. Some of those ideas may seem old, but Within is never dull. Its well-paced story holds our interest, and even manages to surprise despite its familiar conceit. The fate of "bad seed" Michelle is also unexpected; a surprisingly dark ending that may discomfort Hollywood studio executives who are always trying to up the "feel good" factor in films. Director Hanelle Culpepper says, "I was attracted to the story because I identified with Rachel. Not that I see spirits, but because when I was her age, I didn't fit in with schoolmates. I also liked that, to save Michelle, one had to understand her. I first read this script [by Rebecca Sonnenshine] in 2004 -- during the Bush era and all his talk of going after evil empires with violence. I loved Within because its message is that violence begets more violence, and the only way to end the cycle is through understanding." "The movie that most influenced me was The Shining. I liked its tone, pacing, and stole a few shot ideas. I liked the use of red in Mary Reilly. In Within, we played with color. Red is associated with all things bad. Michelle is the only one who wears pink -- I made one mistake and had Rachel's family drinking red wine instead of white." To cast Within, Culpepper used a casting director for some parts, and actors who'd worked or auditioned for her in the past. "I generally try to reuse actors who've worked with me before, especially since I hadn't been able to pay them before. But it does come down to who's best." Culpepper began acting and directing in high school. She studied economics and French at Lake Forest College near Chicago, and Entertainment Industry Management at USC. "In 2000, I directed my first short film, The Wedding Dress. Next year I was accepted in the AFI's Directing Workshop for Women, where I made my second short, A Single Rose. Most of my film education was on-the-job." Within was shot in California -- in Studio City, Woodland Hills, and Agoura Hills -- on Super 16mm film, and edited on Final Cut Pro. Post-production was in the Philippines. "Bigfoot has a production studio there, so I spent many months in Cebu for editing, sound mix, color correction, special effects, etc." "Bigfoot is evaluating some distribution offers. Hopefully, we will have a DVD and a cable deal really soon. Our festival life is fairly new. We've been in two festivals so far, and will be in a third on Friday. Mia Ford and Sammi Hanratty were both nominated for Best Actress by the Strasbourg International Film Festival." Culpepper may be reached at HanelleC at gmail dot com. He Dies at the End is a simple film. One room, one actor, no dialogue, under 5 minutes. Yet in that brief time span, with those few elements, the film does everything a great horror film should do. It establishes a creepy atmosphere, heightens suspense, and ends on a genuine scare. Many longer, bigger budgeted horror films offer less suspense and no real scares, earning He Dies at the End 2009's Tabloid Witch for Best Dramatic Horror Short Film. He Dies at the End comes from Ireland, making this the second year that Best Dramatic Horror Short went to a foreign film. In 2008, the award went to Germany's Vadata, another minimalist tale. Yes, the Tabloid Witch appreciates minimalist horror. Oculus won 2006's Best Horror Short. All three of these films were mostly limited to one room, starring one actor each. You don't need big budgets to tell a scary story. "I wanted to make an old-fashioned supernatural horror film," says writer/director Damian McCarthy. "The story's universal. Everyone in the world has felt uneasy while on their own in some place. "In the last few years, every horror film is tie them up, cut them up. Every possible way to kill someone must have been filmed; it's not scary anymore. They're fun to watch, but they don't leave you looking over your shoulder. I wanted to see if I could scare an audience with a non-violent, black and white, dialogue free film. "Horror filmmakers have a big arsenal of ghosts, demons, monsters, the devil. He Dies at the End relies on the unknown, which is the most terrifying thing as the audience imagines all sorts of horrible possibilities." McCarty cites Evil Dead 2 and Ringu as influences. The latter "is the most terrifying, unsettling and simple horror film ever made. It is all suggestion. If they show you something to be afraid of, it's just a glimpse or a reflection in a TV screen." As with Oculus and Vadata, He Dies at the End makes admirable use of sound. Because there's no dialogue, sounds assume greater importance in establishing atmosphere and suspense. "Sound -- and more importantly, silence -- in Ringu was a huge inspiration for He Dies At The End," says McCarthy. "Evil Dead 2 was a big influence for it's balance between comedy and horror." Of his sole actor, Fintan Collins, McCarthy says, "All Fintan had to rely on was his facial expressions, and his turns and glances to the door. Fintan's a true film actor. He knows the camera will pick up every little blink. He did a great job keeping things sedate in the beginning, and subtle when the horror kicks in. It would have broken the tension if it had been played with more obvious terror in his face." McCarthy studied film and TV production at St. John's College, in Cork, Ireland. He's writing his first feature script. His next short film, Hatch, will premiere at the New York City Horror Film Festival. He Dies at the End was shot on HDV, in black and white for atmosphere. "I wanted the office to be full of shadows and dark corners," says McCarthy. "Black and white in horror movies suggests the threat is more supernatural -- like a ghost or demon. It gives the office a haunted house look. There were practical reasons too. (1) I wanted the questions posted onscreen to stand out clearly. (2) We had no money. Our monster was not exactly H.R. Giger's Alien, so we needed to keep him as dark as possible. In the end, though, I think that he did look fairly rubbish added to the whole thing." The film was edited on Final Cut Pro. "I did the music on Garage Band. I used industrial generator and pulsing noises for the atmosphere." The film premiered at Film4 Frightfest in London. Since then "it has screened all over the world. And now the Tabloid Witch Awards Best Dramatic Horror Short, which is an amazing honor and something I am extremely proud of. I am a big fan of Oculus, a previous winner, so it's nice to have our film in such company. McCarthy make be contacted at: irelandhorror at gmail dot com. Comedic horror shorts were abundant this year, making this the most competitive category. It seemed like everyone was making spoofs, parodies, and comedies. (In features as well as shorts.) Thus, many great comedic horror shorts were pushed aside for awards by the competition. How to judge a comedic horror film? Production values and originality count, but the bottom line is -- it must be funny! No comedic horror short was funnier this year, nor more memorable, nor more enjoyable upon repeat viewing, than The Blind Date of Coffin Joe a 10 minute parody of Brazil's Coffin Joe horror series. "I became a Coffin Joe fan early this decade, after his films were released on DVD in the U.S.," says writer, director, and star, Raymond Castile. "I identified with his outsider persona. "In 2006, I worked with José Mojica Marins (the real Coffin Joe) in Brazil. It reawakened my desire to make films. I had not made one in many years. I wanted to do something relevant to today’s culture. When I began thinking of this story in 2007, reality TV and dating shows were already getting tired, but they still retained some novelty. "I was disgusted with the society reflected in reality TV. Coffin Joe seemed like a good instrument with which to dismantle that empty, screeching, hypocritical society, whether it existed on television or in the real world." Castile cast himself in his film's lead. He found the rest of his cast on stlauditions.com. The Blind Date of Coffin Joe was shot on a Canon HV20 HD camcorder. Locations included the Saint Charles Coffee House, the St. Louis Wax Museum, Castile's house, and the St. Charles riverfront. "The coffee house owners and museum caretaker are supporters of the arts, and were very cooperative." He edited on Final Cut Express. Castile is a newspaper reporter who used to be a videographer. He studied film at Webster University, and earned a communications degree at Lindenwood University. He can be reached at: raycastile at aol dot com. The Blind Date of Coffin Joe has played at about a dozen film festivals and conventions, but the Tabloid Witch is its first award. An evil thunderstorm kills a painter's wife and daughter, then refuses to leave, raging on for years. The painter tries to banish this storm by creating a magical painting, burning it in his boiler, and sending the painting's smoke up to "paint the sky." That sounds illogical, yet this dark fantasy tale from Spain makes as much sense as any Disney cartoon, which is what The Painter of Skies's vivid colors and images evoke. "The story was born from my vision of myself working at home," says animator Jorge Morais Valle. "I live 50 meters from the sea, where gray sky, rains, and storms are common. In a house with a huge glass wall, allowing me to enjoy a magnificent view of the Vigo [a city in Spain] estuary." As influences, Valle cites Jan Svankmajer, Ray Harryhausen, the Brothers Quay, and Henry Selick. "Because they are 'artistazos.' They have created their own world, which is very personal. And their work has enriched the world of animation." The Painter of Skies is a dark fantasy. After losing his daughter, the painter imprisons men to draw their blood, and whatever else, to concoct his magical paints. Yet Valle is not worried that audiences may lose sympathy for the painter. "Cruel though it may seem, it makes him more human. The painter feels pain. As the story progresses, the audience sees that pain has made him a sick man, willing to do anything to ease his pain. I love actors who drag you to their field and reveal new things about themselves. If in drama, why not in animation?" Animation requires voiceover actors. Valle found his next door. "I live 10 meters from a dubbing studio. I went in and told them I wanted voices for my characters. They liked the project. In four days I had the actors that I wanted. I recorded a video of their actions and expressions to help me animate the characters. The actors contributed much in this respect. I'd never directed actors, but it was a fantastic experience. They made it easy and fun." Valle thinks his becoming an animator was inevitable. "My only toys as a child were paints, clay, and crayons. Add a boy with boundless imagination, and the fuse is lit. I'd wonder: Why won't this drawing move? All my studies focused on art. I graduated in Fine Arts, and majored in film directing. I've studied photography, imprinting, 2-D and 3-D animation, airbrush, makeup prosthetic. I've worked in commercials, computer graphics design, and digital architecture." The Painter of Skies took two years to produce. Four, if one counts planning and pre-production. "Since I did the first sketch on a bar napkin, it's been four years." Valle's equipment was surprisingly low-grade for so polished a work. "I funded it myself, so the tools have been somewhat of a joke. Two computers, many notebooks [the paper kind] and notes, and a myriad of hours." Music for The Painter of Skies includes both unoriginal scores, and music composed specifically for the film by Edson Fernad, a professional DJ and classical pianist. Valle would rather work on his next project than concentrate on festivals and markets. "This phase is required, but it is the worst of all. It's not my field. But that my first short film, made without significant support or high-end technology, is being well received everywhere by world-class festivals, competing in the same category against works from top production companies, pushes me to continue working." Valle can be reached at: JorgeMoraisValle at yahoo dot es. Bad Friday is difficult to grasp upon first viewing. It's a simple story about a teenage girl whose attempted suicide backfires, causing her mom to be confined to a wheelchair after the mother rescues her daughter. The guilt-ridden adult daughter then travels back in time to save the mother from becoming crippled. A simple tale -- but there's little dialogue, the editing shuffles the time periods, and the viewer must pay attention to the images, and to which images are in color, which are in black and white, and which are animated to decipher the story. This non-traditional approach to a simple tale earns Bad Friday the Tabloid Witch's avant-garde film award. "There hasn't been much conversation on this film as it has screened very little, says director, co-writer Rory Leydier. "Discussion has focused on visual style and overall feel. People seem afraid to discuss meaning. I don't know whether it's due to lack of understanding, or a fear that the narrative could not possibly be that straightforward. "In a lot of my films, I become more interested in the thoughts and feelings of the characters, causing the narrative to become hidden. Bad Friday started on the idea of wanting to change the past, then developed into what might happen if one were face to face with yourself from a different time. "When I started sketching images for this film, I was dealing with my own personal struggle with wishing to change my life, thinking of specific moments where I too could have reacted differently, thinking perhaps I've made poor decisions. Bad Friday is a reaction to these thoughts. "One criticism I've received is that the film is too short [under 8 minutes], that there's enough material for twice the length. Yet it's the length I intended. I love films that are short and to the point. Time is precious. A successful film is one that stays with you, causing you to ponder it days later. This can make a short film more effective." The teen Laura was played by Leydier's younger cousin, Laura MacDonald. The adult Laura was played by April Hutchinson, a model who'd previously auditioned for Leydier for a commercial shoot. Other adults were cast through friends in local theatre. Bad Friday was shot on color, and black and white 16mm film (Kodak Expression 500T, 200T B&W) with an Arri S and a Rack-Over Bolex Paillard. Animation shot on 16mm film with the Bolex. The party sequence was shot on a miniDV using a Panasonic DVX100B. Edit was done on a Mac G4 with Final Cut Pro 3. This film was shot in London, Ontario, guerrilla style, no permission. The house location was offered by a co-worker, Susan Macedo. Leydier studied film at Concordia University, Montreal, Canada. He belongs to IATSE Local 105. He and partner (Bad Friday co-writer) Deborah Bento shoot commercials and concerts through their Romley Film company, where they can be reached. Bad Friday has no distribution yet. The Tabloid Witch's 2009 screening in Los Angeles will be Bad Friday's first screening outside of Leydier's Canadian hometown. The Tabloid Witch is highly competitive, selecting only a handful of entries for "Best of" Awards. And only a handful of Honorable Mentions. Of the many fine films (and many not so fine) that entered in 2009, only four earned Honorable Mentions, making their recognition that much more special. Most indie filmmakers focus on short films, hoping to use them as their "calling card" to Hollywood. But some try to make a splash with features, hoping the next Blair Witch Project or Paranormal Activity. While most of these micro-budget features are rough in parts, the Tabloid Witch likes to highlight at least one of them every year. Bled White is an 86 minute feature about zombies. Why another zombie film? Writer/director Jose Carlos Gomez explains, "I was approached by [producer, actress] Kelli Tidmore, and asked if I would write and direct a zombie movie. She felt that a zombie movie set in the dead of winter would be a unique approach to this genre. "Taking the apocalyptic tone of these stories, I created a movie that relies more on the actions of the characters than on the zombies. We see our characters blurring the line between zombie and human. Both turn to the simple need to feed, no matter the cost in lives. "If zombies kill for food, and humans kill for food, are they really the same? I feel Bled White takes us back to the original Night of the Living Dead, because it's the story of people and their interactions with each other. That's the story to be told." Gomez had worked previously with some of his cast on other projects. The rest of his cast and crew he found on Craigslist. Bled White is noteworthy for its desaturated sepia tones, lending the film a distinctive look apart from other zombie films. "Magic Bullet provided the look we wanted," says Gomez. "All the movie was shot without lighting effects. All colors and tones were brought up with Magic Bullet. I chose this look to give a feeling of being overwhelmed by apocalyptic moods. I did not want any scene to have the colors we're used to seeing in our daily life. I wanted everything to feel uncomfortable." Bled White was shot on a Sony HDV HDR-FX7, in Kane County, Illinois, and edited with Final Cut 6. "Most scenes were shot in Hampshire and Maple Park," says Gomez. "We needed to show desolation so we filmed in forests and frozen fields. Most of these locations were privately owned, but we were granted permission for their use. The scenes in the empty town were shot in two days. We asked the town council for permission to empty out Main Street -- luckily, we were granted access!" Gomez is studying history at college, while working for the Sheriff's office. "Most of my filming background comes through self-learning. Massive hours of movie watching, and movie book reading." Bled White has no distribution history, and has not screened in any festival. "Editing was completed a few weeks before we submitted to your festival," say Gomez. Contact info at: BledWhiteMovie.com. The Tabloid Witch Awards will be Bled White's premiere screening! Evil painters or portraits have been a horror staple since at least Oscar Wilde's Picture of Dorian Gray, and likely before that. Writer/director Alex Bram continues that tradition in his 23 minute Body of Work, wherein a woman finds portraits left behind by a deceased artist -- who painted in human blood! Body of Work's supernatural tale evokes both 1970s TV horror (e.g., Ghost Story/Circle of Fear and Don't Be Afraid of the Dark), and 2000s Japanese horror, particularly the herky jerky ghosts of The Ring and The Grudge. "I love horror shorts," says Bram. "I'm a big fan of anthologies like Tales From the Crypt, Creepshow, and Night Gallery. Horror should be tight and fast. I love cutting to the chase. "Casting is everything. I took time and care with the casting. We rented an acting studio for an extensive casting session. I was picky and had to tell some friends who auditioned "no", but in the end, it paid off. "I am devoted to realistic acting, although I work in a surreal genre. So often, the unrealistic and cartoon style acting seems to creep into these kinds of movies. I was happy that all the actors did an amazing job of keeping it real." Body of Work was shot on a Red camera and edited on Final Cut Pro. Locations were in the California towns of Glendale and Malibu. "One location was Vera Miles's old house. She was in Psycho, so that was a big thrill for me. There are companies that will find these kinds of film locations for you out here." Music was composed specifically for the film. "We used live musicians and a conductor," says Bram. "I am so pleased with the work of Andrew Holtzman and his team. The music adds another dimension to the film. "We have a distribution deal on the table, but we are waiting to see what happens on the festival circuit. We just got it out of post on August 5, so what you are seeing is very fresh product." At the University of Florida, Bram studied "altered states of consciousness and communications -- whatever that means. I've been in Los Angeles for ten years, working on music videos and directing theater. I've studied directing and acting for many years." Contact info at: PanicAttackFilms.com. The Tabloid Witch likes to promote innovation and originality. This year, from the usual flood of zombies and slashers (still the two most popular monsters), The Eternal Pitfall of Prokofiev arrives as a fresh breeze. Prokofiev is a 13 minute short about a man who sells his soul for some syrup (soda pop) to quench his thirst -- done in the style of a 1920s silent film. Not only is the film shot in black and white, but its dissolves, associational editing (intercutting the man with a rabbit, and Satan with a fox), the makeup and mannerisms of the actors, and the jumps cuts (as if we are watching an old film that has been respliced many times) all evoke the sensibility of silent era films. "Last Fall I slumped into a mild depression," says filmmaker Patrick Clement. "I was listening to lots of Russian opera, which goes well with angry isolation. I was listening to a Sergei Prokofiev record and Montagues and Capulets came on. I was inspired. That song is about a battle. An interior battle between oneself. I took that idea and wrote a three page treatment that became The Eternal Pitfall of Prokofiev. 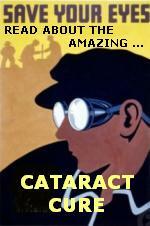 "I had also become obsessed with Das Cabinet des Dr. Caligari. That film is still shocking today. I can only imagine what people in 1920 thought of it. "Silent films are like old clothes. They must be appreciated for what they are: a time capsule that once reflected the society for which they were made. But very few are able to stand the test of time, and still maintain relevancy for more modern tastes. "Casting was a challenge because of the type of film we were making. Motions and gestures associated with silent films are long gone from most modern actors' repertoire. We lucked out with Oron and Matt. Oron Mendel was so wonderful that for the rest of the casting session we were comparing him to everyone else. Matthew Gilliam just nailed it with his expressions and a great "interesting" look. He has a non-traditional handsomeness that worked wonderfully for the film. "We chose a shooting style and format to emulate 'classic' filmmaking techniques. We joked on set about how we were spending all the money on school to learn how to do things the right way. Then we go and spend more of our own money on doing it purposely the wrong way. "The film has everything we wanted: some soft focuses, some varying exposures and speeds, clunky camera movements (a la The Great Train Robbery) and large grain. It was transferred by Yale Film and Video and edited on my PC using Sony Vegas with plug ins." Prokofiev was shot with black and white reversal Kodak 16mm Tri-X film, on a H-16 Antique Bolex with a Som Berthiot reflex lens. A brief color scene was shot on a Canon XL-2 with the standard zoom lens, set on Cinema mode. The film was mostly shot in a public park in Sherman Oaks. "Permits are ridiculously expensive. Well, not exactly. The insurance is what's ridiculously expensive. To get a permit you need $1 million in coverage. That seems silly with a 5 crew members, 2 actors, a couple of apple boxes, and a $200 Bolex." Clement is from Boston, MA. After some rough teen years (runaway, drugs, prison), he cleaned up at age 20 and enrolled in the University of Massachusetts, earning a business degree. In 2005 he moved to Los Angeles and worked as a production assistant on films, TV shows and commercials. He's back in college studying screenwriting and philosophy. His contact info: patrickmichaelclement at hotmail dot com. So far, Prokofiev has screened at Tromadance Indiana and The Broadway International Film Fest. A man, his young son, and his teenage daughter are trapped in an elevator after everyone has left the office building for the day. The man sends his son for help, squeezing him through an opening. What follows is surreal and Lovecraftian. There's no real world logic to it, but El Hombre de la Bolsa, an Argentinian short film (13 minutes) has a "dream logic" that draws us into its nightmare. Apart from the Lovecraftian beast (spawned from the father's distant emotional relationship with his family? ), David Lynch also appears to be an influence. The stylistic weirdness of Mulholland Drive and Eraserhead come to mind. This dream logic is assisted by strong, realistic acting; darkly atmospheric cinematography; an appropriately deserted and creepy set; and the scariest looking monster of any Tabloid Witch entry this year. "The premise was to start with a recognizable, mundane situation, and then turn the familiar into the unknown, says director Pedro Cristiani. "Lovecraft, Lynch, Jorge Luis Borges are all influences. As we grow up, we are lectured into how tangible our world is. The film's goal was to show that we only perceive a small fraction of reality. If we were ever to grasp more, well, that would really mess us up. "The story is about guilt, and the choices we make. It's about the relationship between a father and his offsprings, focusing on how the adult world is based on selfishness, and that emotional distance is what triggers the shift from one level of reality to the next. A character lost in the dark, grasping as far as technology allows him to, feeling the textures that shiver in the shadows, that's the journey we wanted the audience to take. There's nothing logical in it, just primal, raw emotions. "In Argentina, genre is considered a minor narrative form. [Co-writer] Guille Gatti and I think that is a real shallow perspective. So we took the plunge with Nerdhaus Films. I am a film and TV screenwriter, Guille is a seasoned editor. We decided to shoot the kind of stories we grew up with and love to watch. "This story was executed as a guerrilla shoot. Three days, one location. Simon Ratziel's mother owns an apartment in this old building. She was kind enough to let us use it as our location. We let all the people in the building know what we were up to, which was completely useless. During the entire shoot, the tenants did their best to ruin our takes, from calling the elevator at all times, to leaving their doors open with roaring music on. Only Carmen's patience and constant intervention let us wrap it up before any blood was shed." What begins as a mundane elevator ride for a father and his children ends with a Lovecraftian monster lurking in the dark. Cristiani conceives the monster as "spawned from the fears of people who inhabit the old building. We wanted to re-imagine the concept of the boogeyman, using everyday objects, so... what if this entity was incubating in garbage bags? Making them change, evolve into something organic. What if it was symbiotically connected to the entire building, infecting it with darkness? What if it started to feed? "Simon Ratziel was responsible for the design and execution of the Creature. We spent hours developing the internal 'creature logic' to make it feel like an actual, living thing. The complete prosthetic took him and the RabbidEFX Team three hours to apply. There's a certain beauty in the horror of the Creature, a beauty that comes with the idea that what we are watching is real. That's the best praise you can give them." El Hombre de la Bolsa was shot on a Panasonic P2 DVCPro HD, with a 1440 x 1080 pixel aspect, in 25 progressive frames. Editing on Avid Media Composer. Visual effects by Martin Pedreira on Adobe After Effects. Pablo Isola edited and mixed the sound using Protools. The film finished post-production in July, 2009. It's already been an official selection at Curta Fantastico [Sao Pablo, Brasil], Pilas [Seville, Spain], Valle de Bravo [Mexico], the Big Bear Horror FilmFest [California, USA], and the Buenos Aires Rojo Sangre. "But the Tabloid Witch Award is our first Honorable Mention! Thank you so much!" In Don't Call Me Zombie (13 minutes), a zombie cubicle clerk deals with office romance and co-workers' prejudices. Yes, it's another zombie film, one that satirizes political correctness and office culture. Those are old targets and the ending is predictable. But to its credit, Don't Call Me Zombie is always entertaining, with engaging characters and slick production values. While the road is familiar, the ride is fun. "I love that horror -- zombie movies in particular -- can be used for allegory," says Canadian director Nicholas Humphries. "Rather than use zombies as a metaphor for society, the script [by Andrew Menzies and Bob Woolsey] told the story of a sympathetic undead character as a minority, and let the human race stand as its own critique." Humphries cites the BBC's The Office as an influence. "I wanted that kind of uncomfortable humor and awkward romance in this piece. "I feel fortunate to be in Vancouver, as it's home for a lot of Canadian (and US) TV production, so I'm exposed to a lot of talented actors in my day-to-day work. Many folks in Don’t Call Me Zombie are actor friends that I've waited to work with." Humphries has a degree in Film Studies from the University of British Columbia and has worked for Omni Film Productions. He's pursuing a Masters in Film Production while producing a web series, called Riese. Don't Call Me Zombie was shot on a Panasonic HVX and edited on Final Cut Pro and Pro Tools (for the sound). Contact info: nicholas at riesetheseries dot com. The Tabloid Witch Awards will be Don't Call Me Zombie's world premiere. Two men meet the same girl online -- a ghost who lures them to a park on a blind date, so she can entice them to murder each other. The men kill, repeatedly. She kills too. But all to no effect, because these are visions and we always return to square one for more visions and killings. It gets repetitive and confusing. Even so, Bloody Daisies (14 minutes) has funny acting, beautiful cinematography, and a creepily layered soundtrack, which help enliven events. Cameron Kerr and David White (co-directors, co-writers, co-stars) explain, "By killing someone, she [the ghost] is able to move on, and the other person is stuck behind until they to kill someone. They free themselves from the curse and pass it on. [Okay, I didn't get that.] In reality, we didn't think too deeply about the process. We simply wanted to make a film in the vein of our youth -- something fun to make and fun to watch." Bloody Daisies was shot in a public park in Southampton, England. "We gained no permissions, deciding to shoot guerilla style," says the team of Kerr and White. "We weren't interfering with our day jobs as we shot over a couple of weekends, so we were left alone." The film was shot on DVCAM tape, using a Sony PD170, and edited in Adobe Premiere CS3. Grading by Magic Bullet, visual effects by Adobe Photoshop. "Sound was achieved through several mad foley sessions, using vegetables (standing in for human limbs) being cut, crunched, and smashed. Carrots are useless -- they just snap. Crackers, melons, leeks have a richer sound quality. The final mix was done on Cuebase." Simon White (also the DP, and David's brother) and Adam Bowden (also the music composer) handled the sound. "Simon works in post-production sound," say the co-directors. "He believes in sound augmenting a film, and layers the sound heavily. Some of it disguises some bad on-set recording, but he also themes the sound. Daisy [the ghost] is always accompanied by the sound of flies and bees buzzing, to accentuate her evil intent." Bloody Daisies's vibrant colors convey a fantastical feel, due to a post-edit grading. "We heightened the greens in the first part of the film, before they disappear into the woods, and then darkened the blacks and browns for the end. This was a signpost to the "weirdness" to come. We put Magic Bullet filters on the clips randomly and went, "Ooh, that looks cool! Most of the special effects [e.g., the wobbling shovel] are hand drawn, frame by frame animation on top of the footage, drawn by Kerr. David White is Creative Director of City Eye, a filmmaking charity in Southampton. He works with young offenders, community groups, and charities making short issue based films. Cameron Kerr has been a video game artist and animator for 15 years. He currently works as a graphic artist for Finblade, an iPhone development studio. Bloody Daisies has been selected for the Buried Alive Film Festival, Freak Show Horror Film Festival, Fright Night Film Festival, and Short Cuts Film Festival. Its contact info: BloodyDaisies.co.uk. 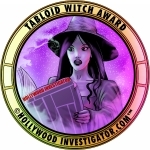 Its Tabloid Witch (see below) is its first award. Don't Call Me Zombie's Claire Lindsay is bubbly, flighty, lovesick, occasionally snappish, and always funny and endearing as the cubicle clerk who falls in love with -- and sticks up for -- the undead guy. The Tabloid Witch has long honored comedic horror performers, and continues that tradition by recognizing Claire Lindsay as 2009's Best Actress. 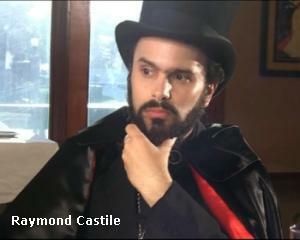 Raymond Castile hams it up, playing the role of Coffin Joe with great relish and fun. More importantly, he conveys that fun to the audience. No actor in any role, dramatic or comedic, was more enjoyable and entertaining to watch -- again and again. Raymond Castile, in The Blind Date of Coffin Joe, is the Tabloid Witch's Best Actor for 2009. 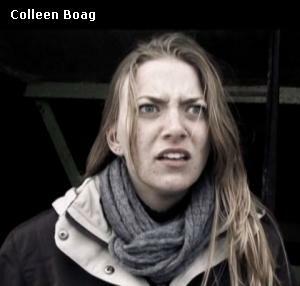 Boag is 2009's Best Supporting Actress. Within's Brent Sexton plays a father who is abusive, yet ultimately sympathetic. A difficult emotional arc, yet Sexton stays true to his character even as he forces the audience to rethink the father's actions and attitudes. 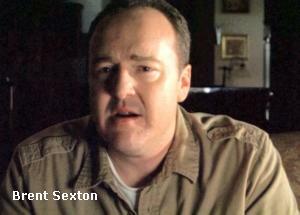 Sexton's small, but demanding and crucial, role earns him a Best Supporting Actor Tabloid Witch. As a sad and "mature beyond her years" little girl who sees dead people, Mia Ford of Within evokes Haley Joel Oment of The Sixth Sense and David Dorfman of The Ring. Not an original persona, but appropriate to her role and well done. In past years, child performers competed with adults. 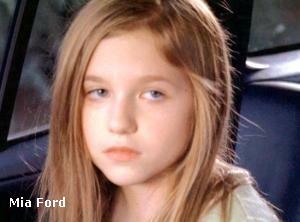 This year, we introduce and present a Best Child Actress award to Mia Ford. More than most horror subgenres, supernatural stories rely on atmosphere, and Cat Deakins's lights and shadows deliver the appropriate ghostly mood in Body of Work, earning Deakins our Best Cinematography award. The story was a bit confusing, but the visuals were beautiful and the heavily layered (and yes, appropriately themed) soundtrack was an audio feast. Kudos to Bloody Daisies's Simon White and Adam Bowden -- and a Best Sound award to them! We won't spoil the shock by revealing the beast, but he's creepy, frightening, and original -- but not so original that it doesn't tap into our collective subconscious. Good horror does that. Presenting Simon Ratziel with 2009's Best Make-Up Effects Tabloid Witch for El Hombre de la Bolsa is a no-brainer. The real mystery is, after Ratziel's impressive make-up fx in 2007's Death Knows Your Name, and now this -- why is he still in Argentina? Why haven't the major studios flown him to Hollywood? D.C. McAuliffe's musical score for Bled White is as sparse and depressing as the film's snow-covered vistas, punctuated by sounds of menace and the metaphysical. It's probably what the apocalypse will sound like when it finally comes. McAuliffe wins 2009's Best Music Soundtrack Tabloid Witch.